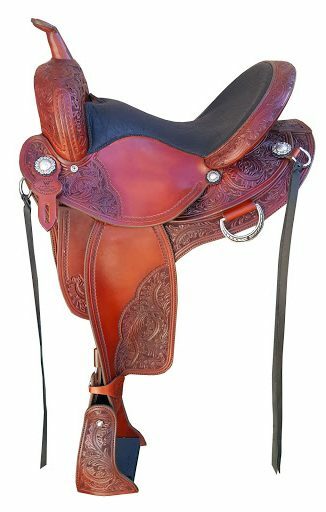 Each Barrel Revolution Saddle is lovingly hand made by craftsmen who specialize in high quality western saddles. In Barrel Racing fractions of a second matter so should your saddle fit! We use a radar gun to show before and after speed using a TW barrel racing saddle. The difference is amazing. Our patented 3-D fitting system lets your horse free up shoulders, and extend their stride! And our seats have a secure pocket that will keep you up and balanced for that launch after the turn! Our short skirts and close contact make it easier for your horse to flex his midsection, to make faster, smoother turns. See for yourself with a test ride. You wont believe just how fast your horse really can be with a TW barrel racing revolution!